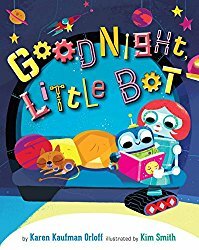 I'm happy to say Sarah Yurga is the winner of Goodnight, Little Bot (You will find the review and details for entering the giveaway at this link.) Thank you Sarah for reading grandma's cookie jar (please email your address - lyndagcj@gmail.com - by November 19, 2017 - so I am able to have it sent to you) and thank you Sterling Children's Books for sending one for me to review and for making another available for me to give away! 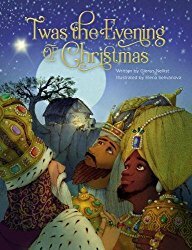 Tomorrow, on November 14, 2017 I'm giving away 'Twas the Evening of Christmas (You will find the review and details for entering the giveaway at this link.) Someone will win . . . could be you, but for it to be you, you have to enter. Please enter today - and share with the people you know.